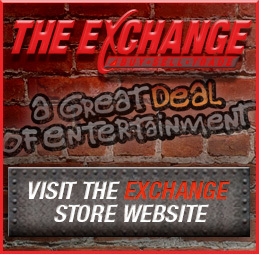 Starting your own retail franchise with The Exchange can be rewarding. This checklist will guide you through the process of starting your own retail franchise with The Exchange®. Review the features of our franchise system to determine if a retail franchise opportunity with The Exchange™ is right for you. Complete our initial Franchise Investment Inquiry Form. Once we receive your inquiry, we will send you a username and password for access to the secure areas of our site where you can gain even more insight into how you can start your own retail franchise! This application requests financial information used to determine if The Exchange is a good fit for you. Make a visit to our headquarters, as well as one of our corporate locations. During this time, you will receive a copy of our Uniform Franchise Offering Circular (UFOC). In addition, you will meet with corporate officers and staff to further discuss the opportunity. Starting a retail franchise with The Exchange is an important decision. Determine if you can become financially and personally committed to owning and operating your franchise. Once you have been awarded a franchise with The Exchange, sign our franchise agreement. Using innovative location mapping technology, we are able to determine the most promising locations for your franchise. You will complete an intensive training seminar at our corporate location to prepare you for operating your store. Our grand opening checklist and other ongoing support materials will provide you with everything you need to be prepared on opening day and beyond.